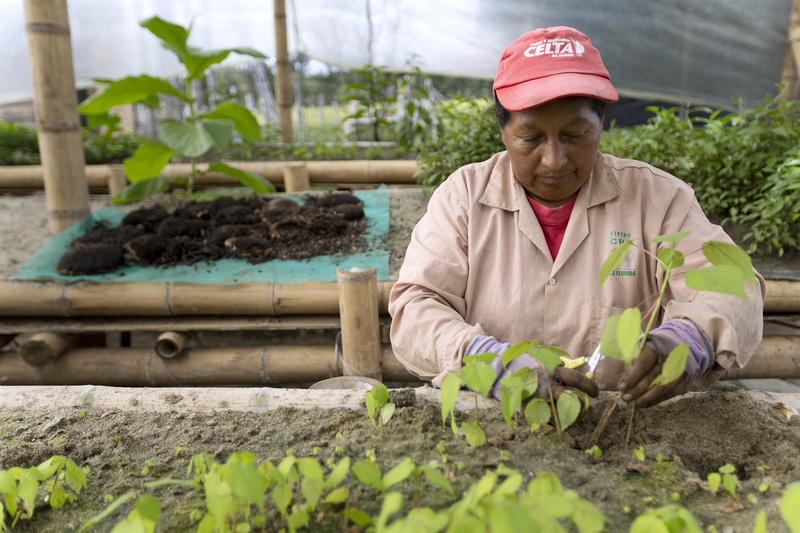 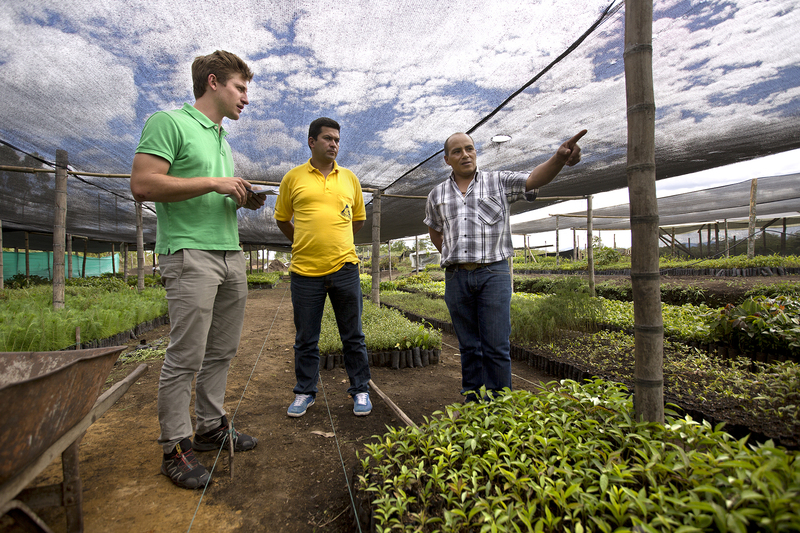 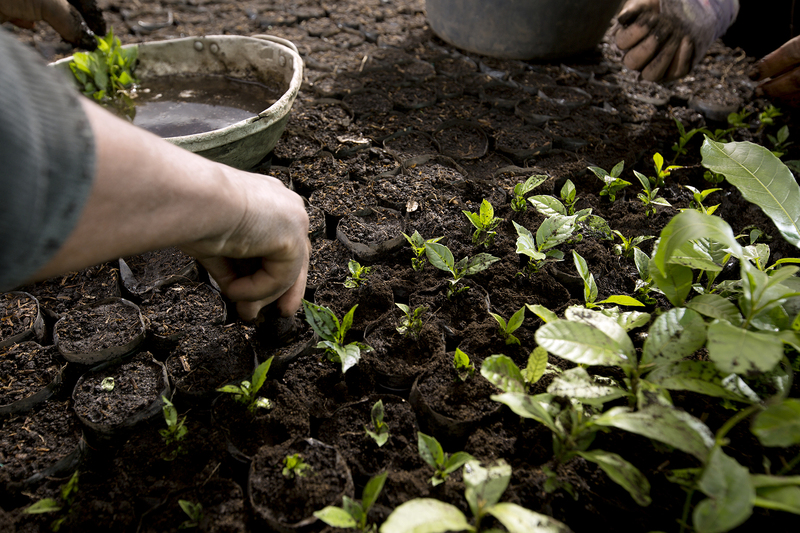 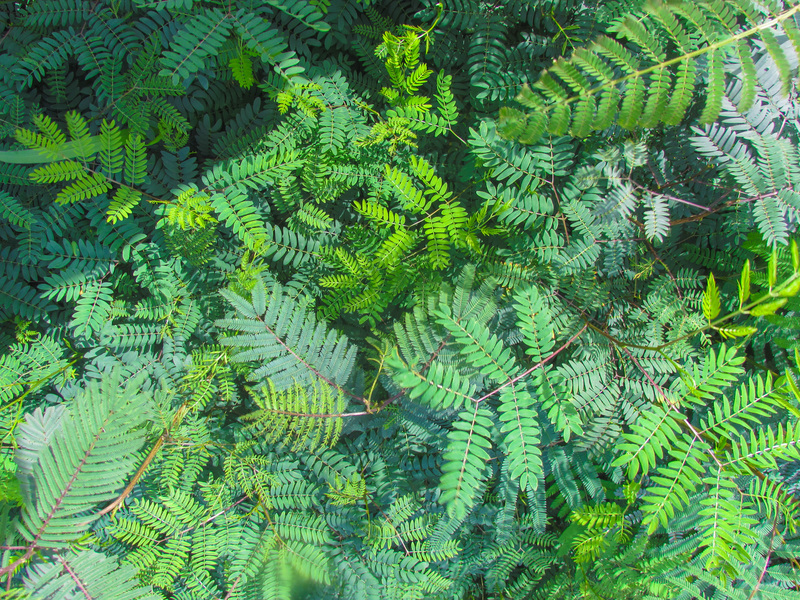 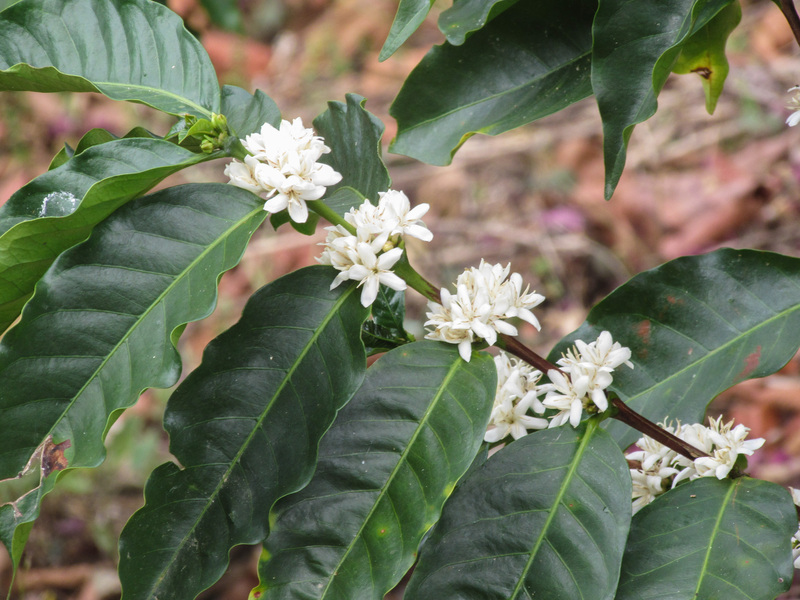 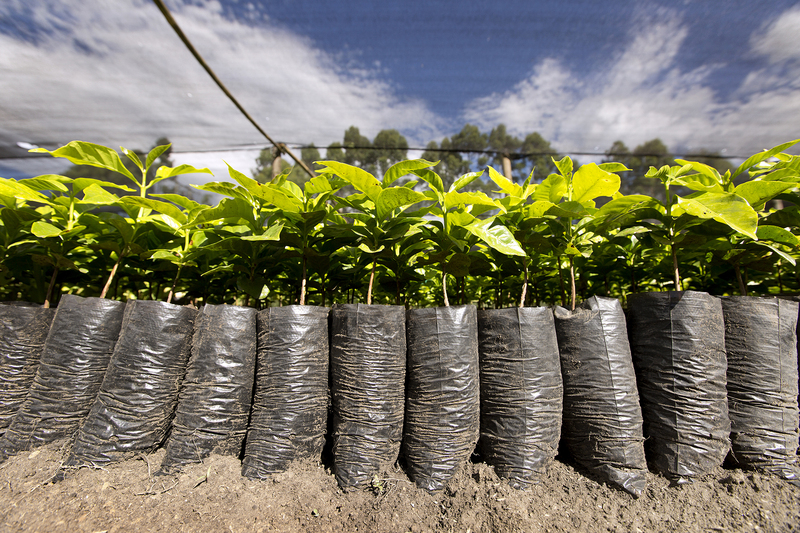 The project, in partnership with the Federación Nacional de Cafeteros (FNC), aims at planting trees inside and outside coffee farms, to secure, increase and diversify farmers' revenues while preserving freshwater springs of the valley. 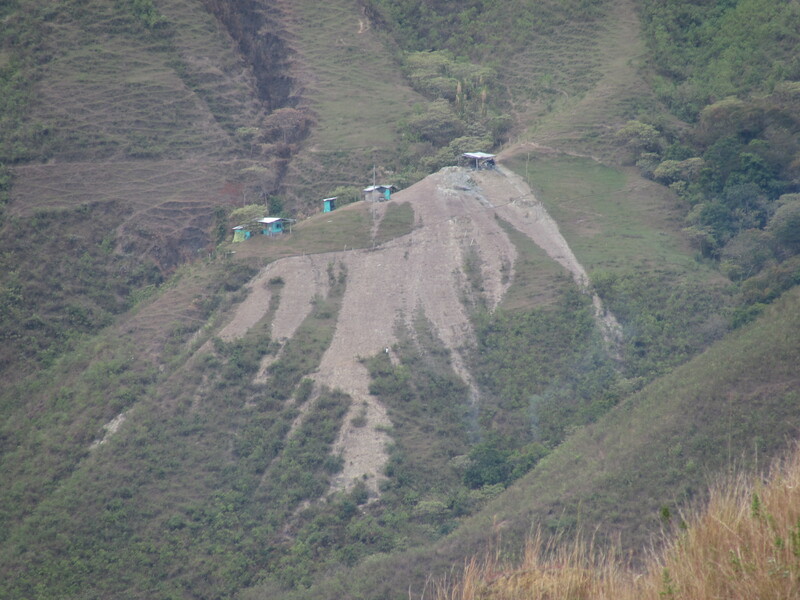 Farmers of the Cauca and Nariño Departments are exposed to strong erosion accompanied by landslides, and suffer from growing water scarcity. 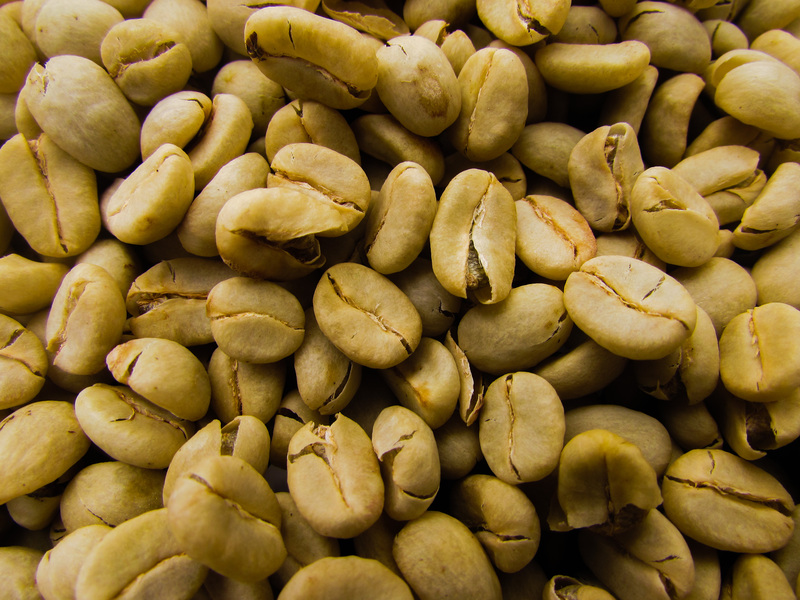 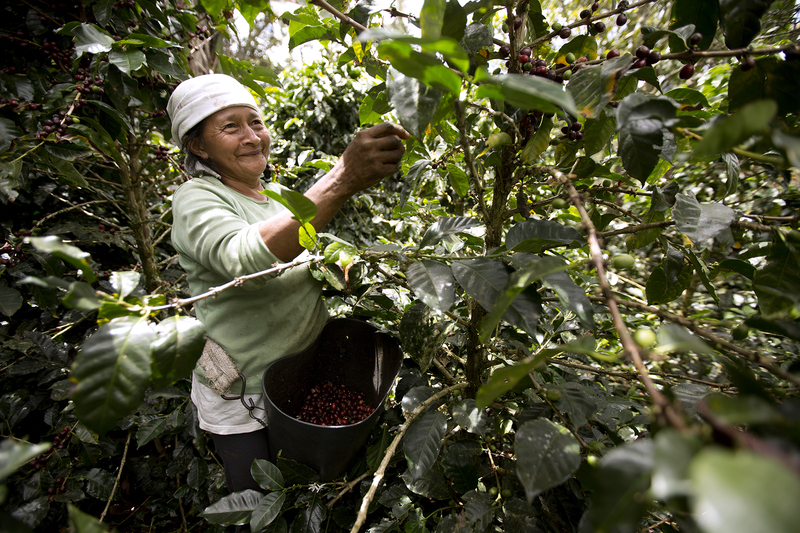 Associated farmers are highly dependent on coffee production, complemented with milk and meat production. 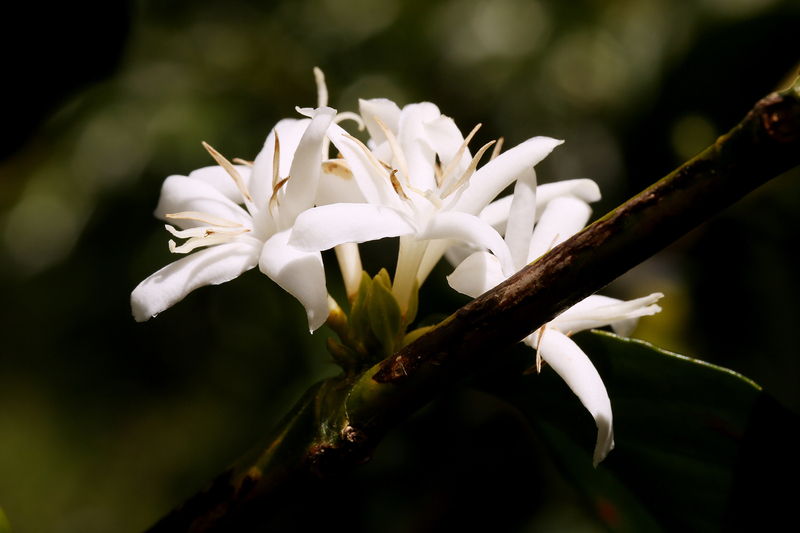 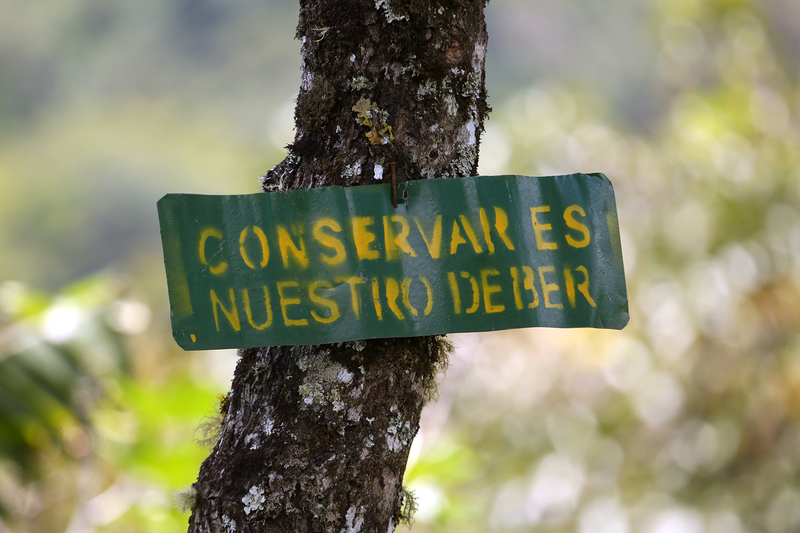 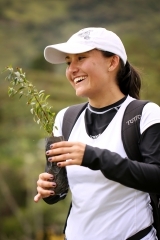 The project, in partnership with the Federación Nacional de Cafeteros (FNC), aims at planting trees inside and outside coffee farms, to secure, increase and diversify their revenues while preserving freshwater springs of the valley. 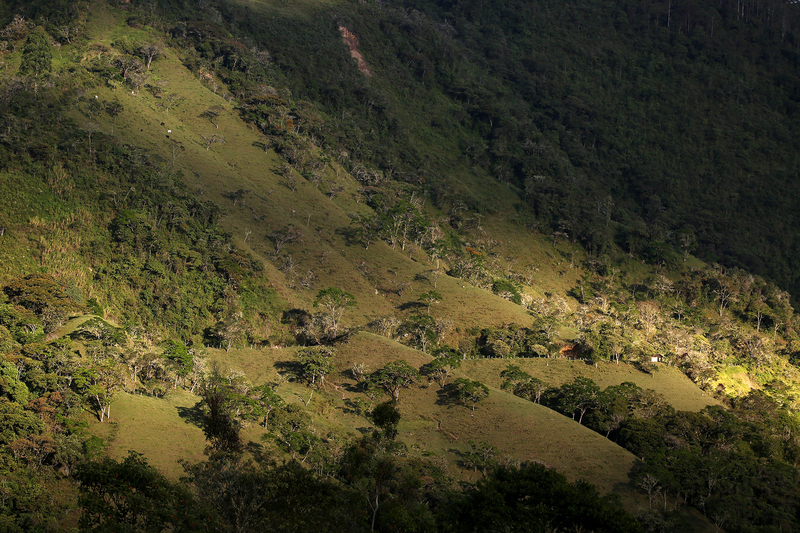 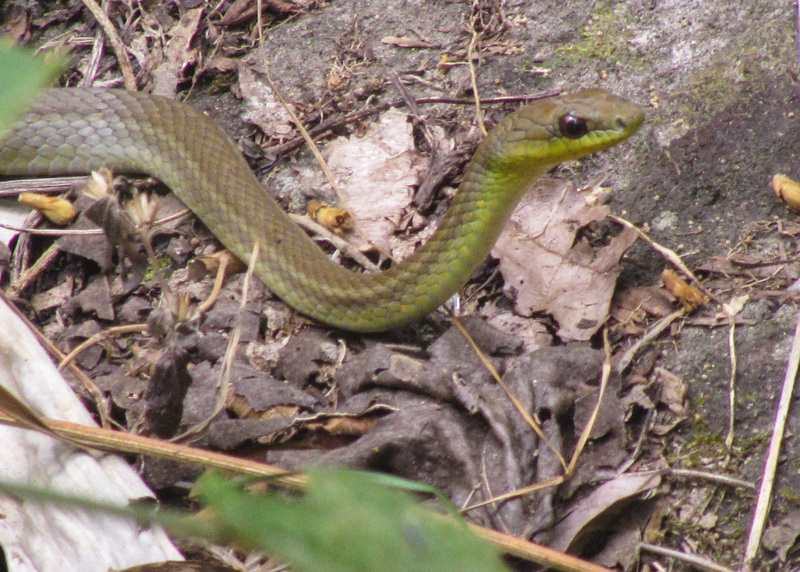 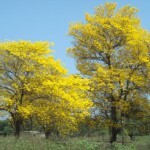 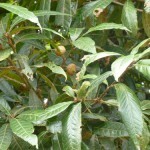 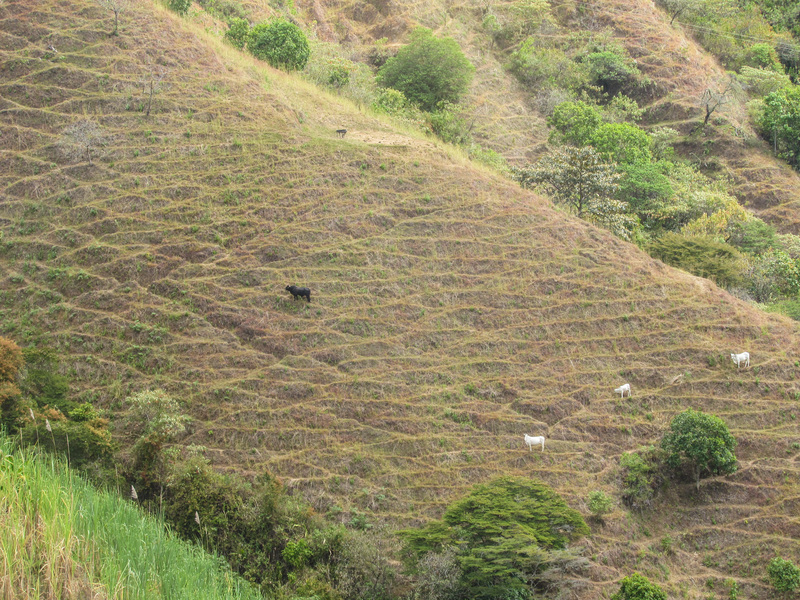 Deforestation has been fierce in the area in order to establish pasture and cultures. 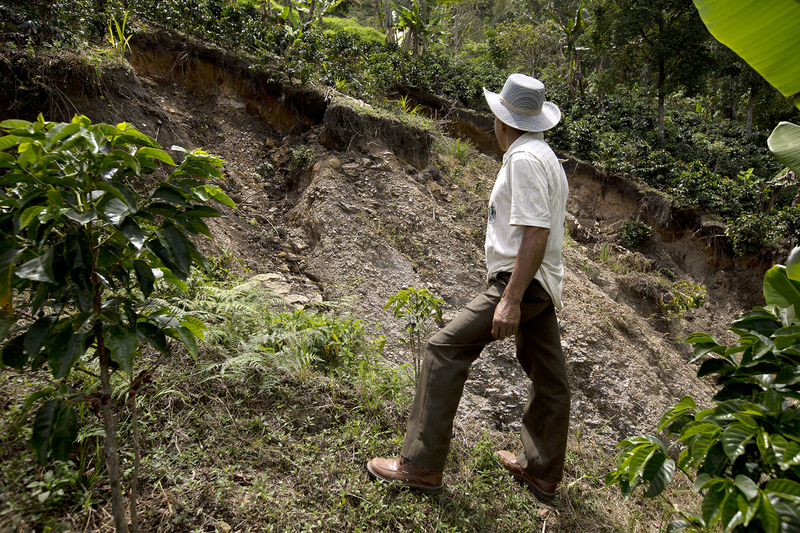 Farmers are now exposed to strong erosion profiles accompanied by landslides, and suffer from growing water scarcity. 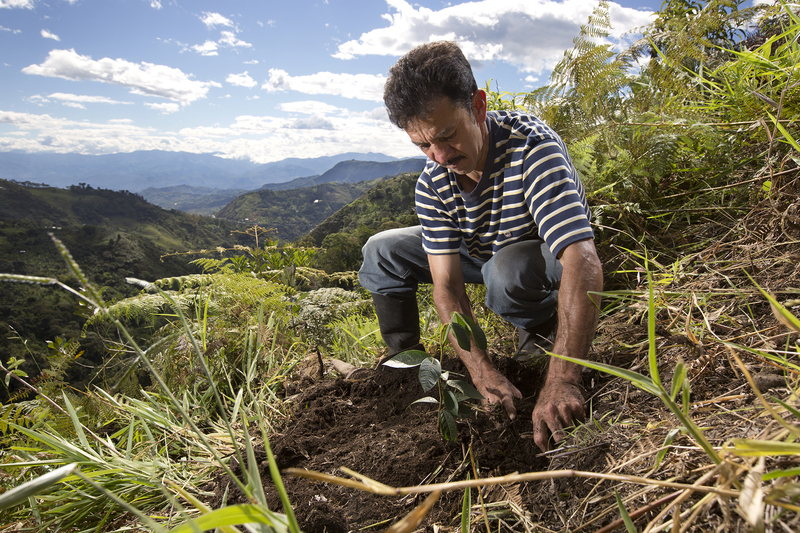 Local associations of producers are aware of the environmental emergency. 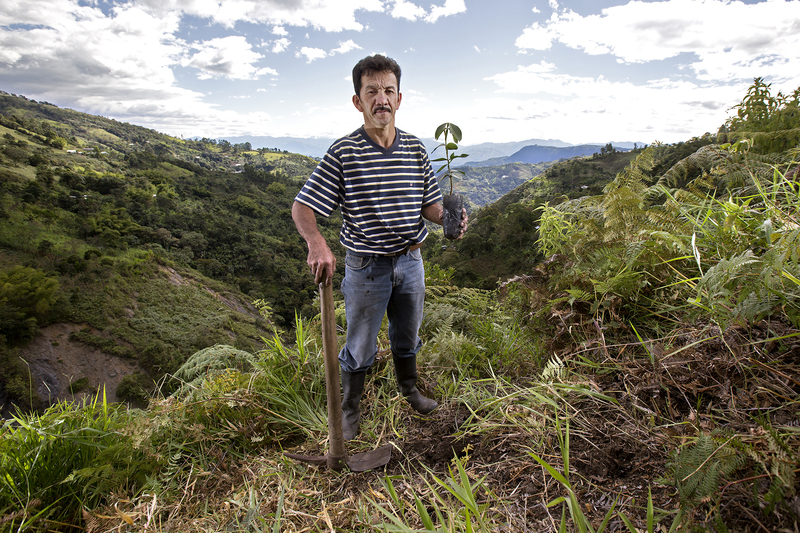 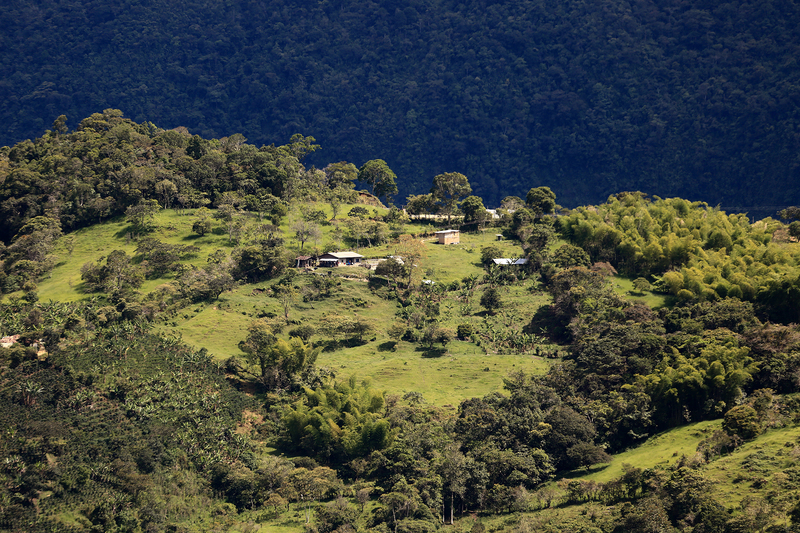 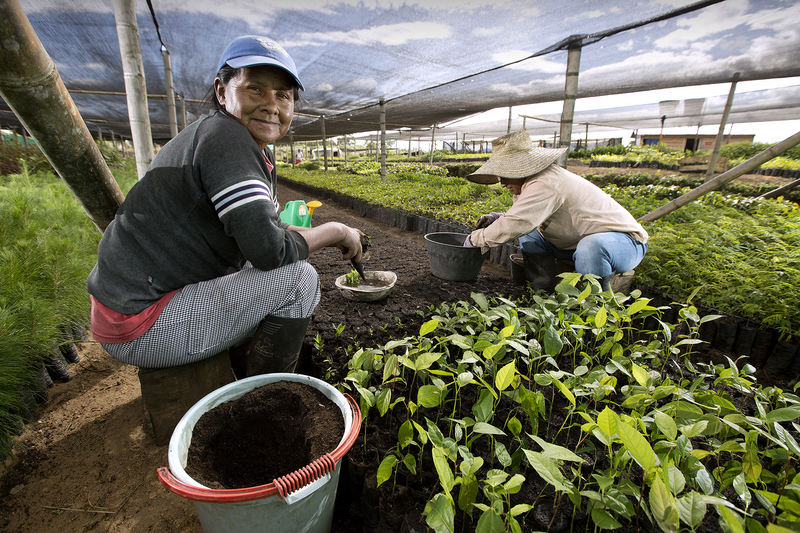 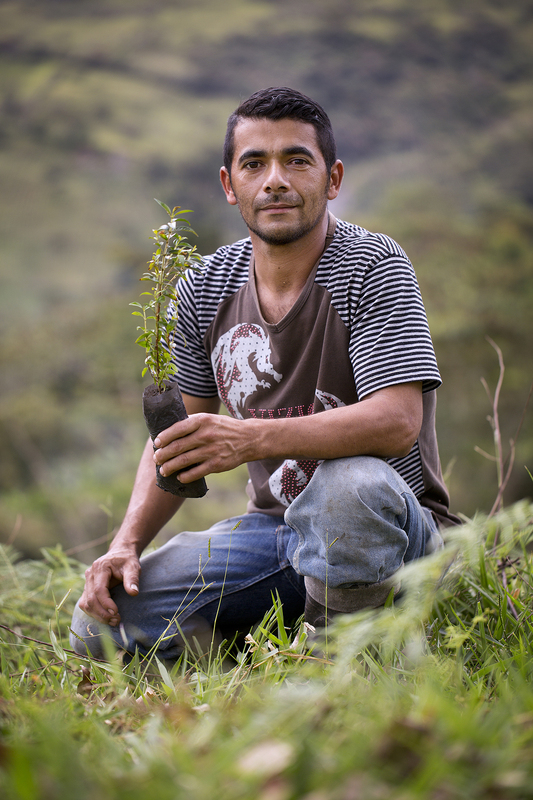 The reforestation project in Colombia started in 2014 in the Department of Cauca, in 15 villages of La Sierra and Las Rosas sectors, with 177 coffee producers. 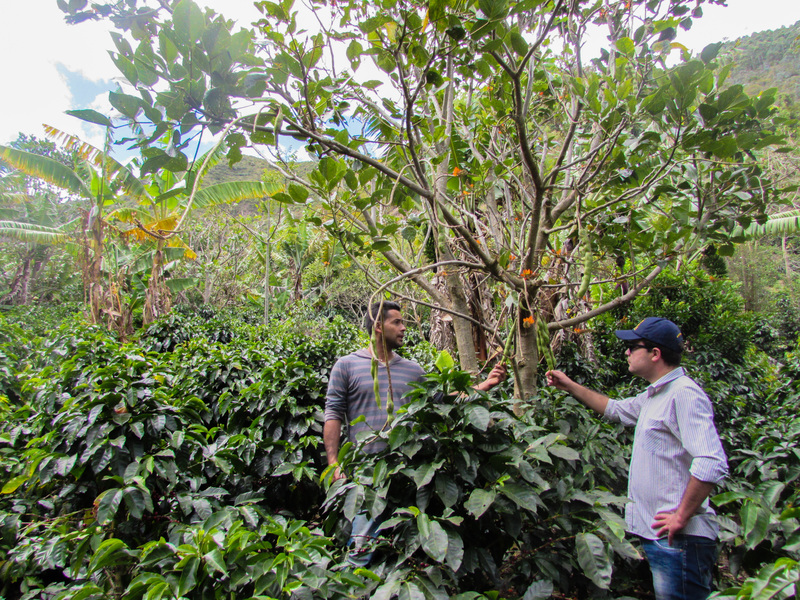 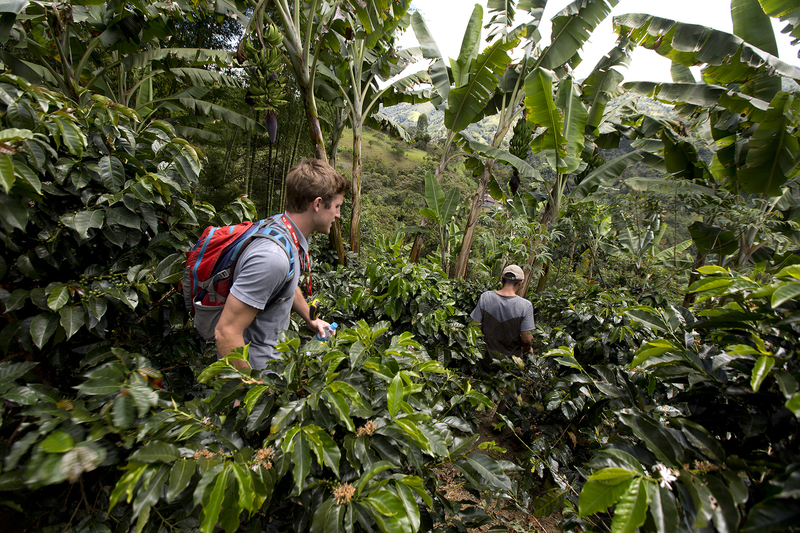 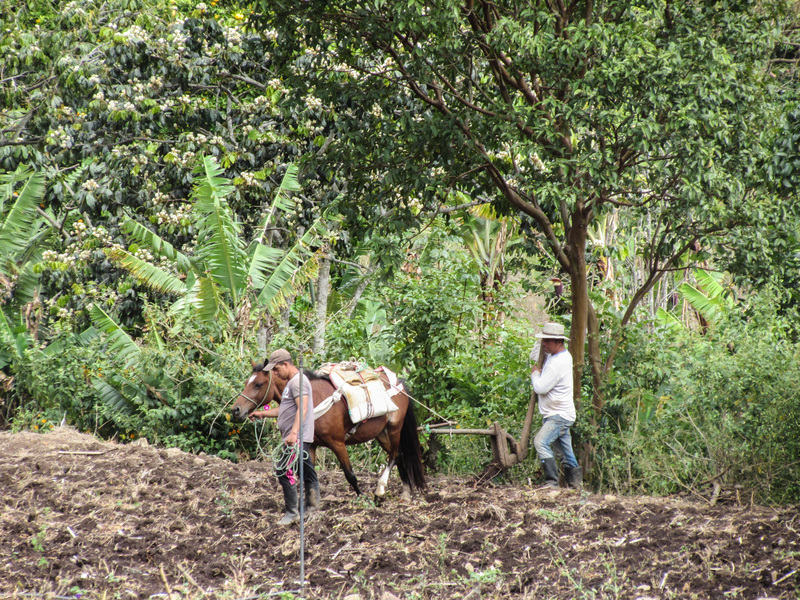 In 2015, the project has extended to 30 villages of Cauca and 46 villages of Department of Nariño, and involves now more than 1000 coffee farmers. 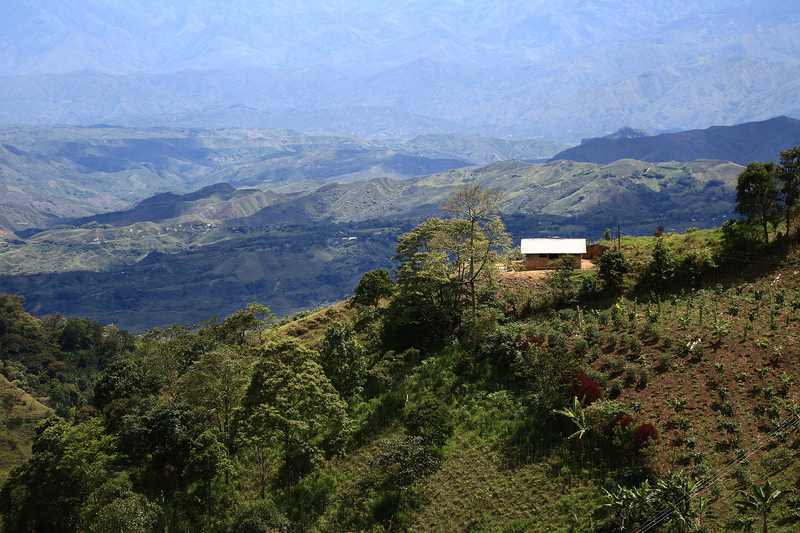 The Federacion Nacional de Cafeteros de Colombia manages technical assistance and coffee selling. 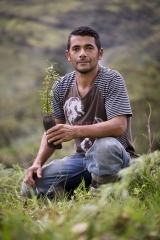 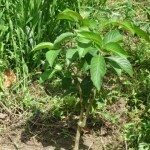 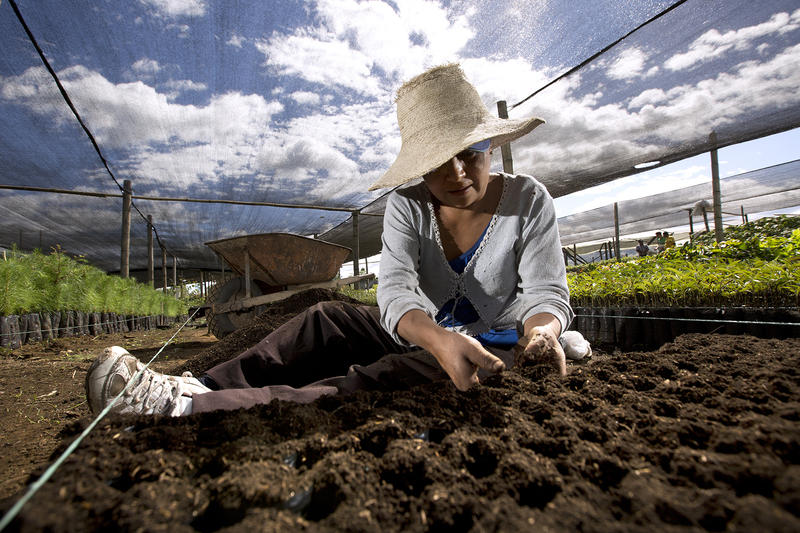 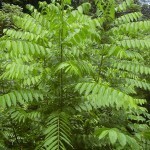 297000 trees have already been planted with more than 1000 farmers. 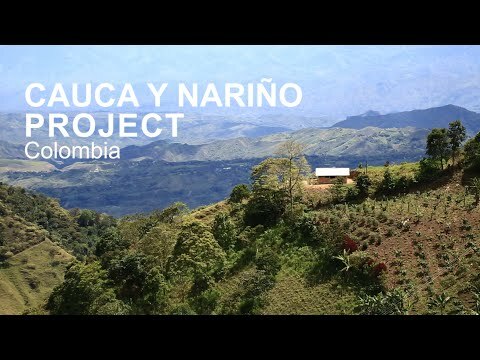 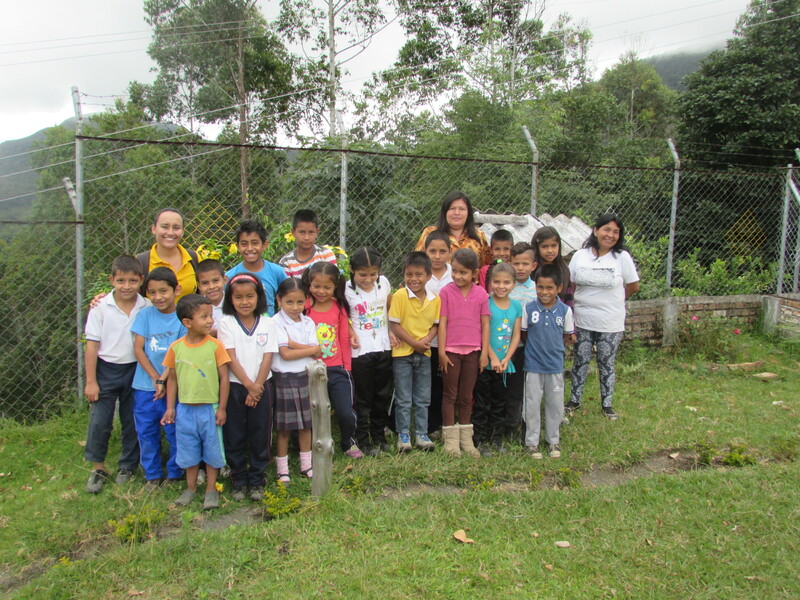 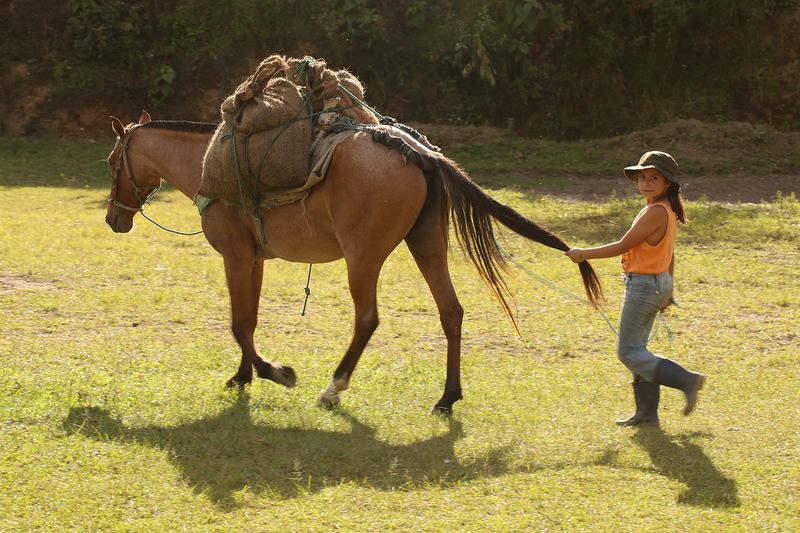 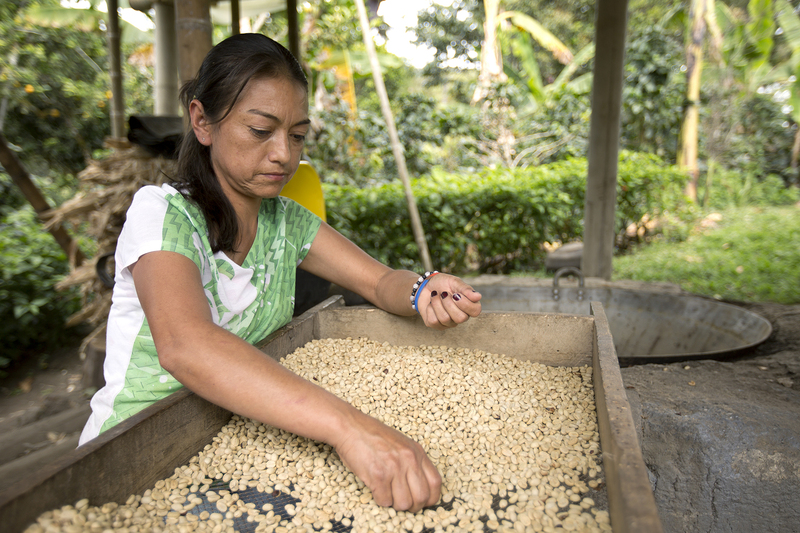 Our local partner for the Cauca y Nariño project is the Federacion Nacional de Cafeteros of Colombia. 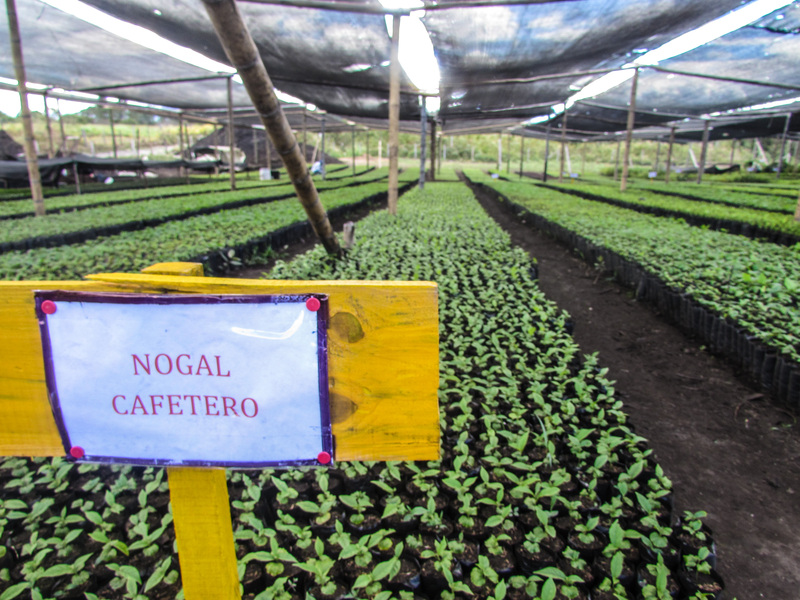 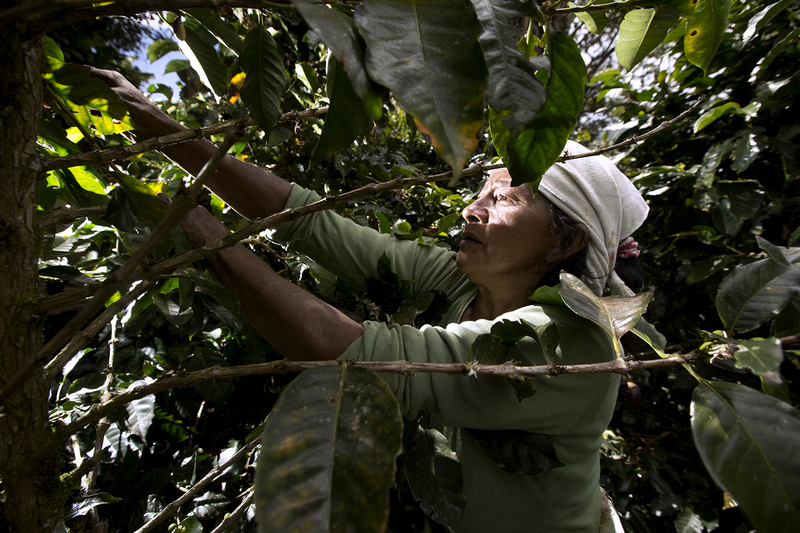 Over 1000 small-scale coffee farmers participate in this project.